Our daughter lives at Newhouse Farm, we live in Abbess Hall. The farm grows wheat, sugar beet, peas and linseed. Hedged placements or open pitches, farmland views. 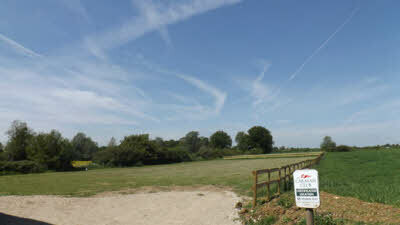 Footpath from site to pub or farm shop/cafe in White Roding. Local information, maps, book exchange. Riverside Walk half a mile away. Birds Green Fishery (3 miles). Overground trains Sawbridgeworth (15mins) to Liverpool Street or Cambridge. Epping underground 30 min drive. We do ask guests to recycle rubbish. A really easy site to access on a working farm. Nice & peaceful with a friendly welcome for young children too. Theres a nice space around each pitch along with an extra small field to kick a ball around / fly a kite without getting in anyones way. 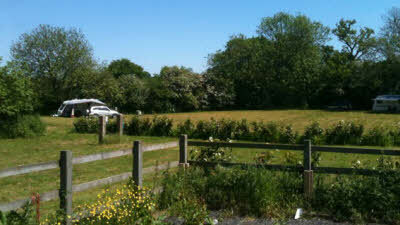 We stayed here for a long weekend in June primarily to check out our caravan on its first outing of the season. 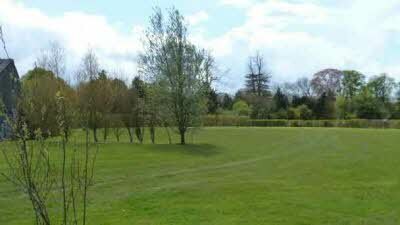 The site is very well maintained and has bays which are plenty big enough for the van and an awning. The outlook is to cornfields with a windmill far in the distance, just lovely. The loo and shower were spotless and there are some maps, information leaflets and books to find local places to go. Our family and granddaughter came to visit for a day and we had the site to ourselves to play and snooze! Our dogs had plenty of walks available from the site and with Hatfield forest up the road some good walks there as well. There are some nice pubs around, we had a great family meal at the Axe and Compasses, it does get busy on a Saturday night so you might want to book. We will definitely be returning. Stayed for one night, primarily to give my new MH a run. As above, a peaceful site with good facilities. My only gripe was that I couldn't find a drive over grey water dump, but it wasn't the end of the world, and wouldn't put me off returning. I took a walk(left out of the CL) along the road to White Roding. It was the middle of the afternoon, and the Pub was shut. However, next door was a small "shopping village", which boasts a garden centre( including camping gas), a bar/restaurant, and a general store selling loads of artisan goods. On my return to the CL, I enjoyed the peace and tranquility and ate my dinner to the accompaniment of birdsong. Perfect.! Everything you could hope for in a CL. No point repeating the other reviews, just agreeing with everything. As a dedicated cl user this site is just as it should be. Easy to find, easy to access and easy to pitch. The site is level, the pitches are a good size. Some are individual and enclosed by conifers one of which we were lucky enough to have. The separate toilet and shower are always spotless and a great credit to Jilly and her husband. This site is very well run and we are already looking forward to returning. Loads of places and things to explore that are not too far away. Audley End house is great but then there is Duxford air museum, Mountfitchet castle (great for kids) and Bishops Stortford is ok for shopping (Sainsburys). Lots of other things but we ran out of time. Only marked as 4 stars for peace and tranquillity because its under the Stansted flightpath but the aircraft are quite high and it did not bother us at all. Actually on reflection maybe I shouldn't have told you . . .